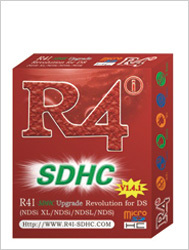 The Red R4i-SDHC is a multifunctional upgrade from the original R4 flash cart, which has enjoyed a great reputation in the global market. 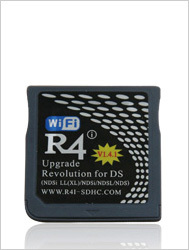 It not only has the functions of the original R4, but also has increased capabilities, such as support for the SDHC card. We have released new cards to be used in the dsi v1.41 which was packed in the new package marked 1.41, since Sep 20th. Core upgrade automatically through WIFI of NDS/NDSi/NDSi LL to avoid tedious upgrading steps. WOODR4 V1.17 has been released 18 Nov,2010. 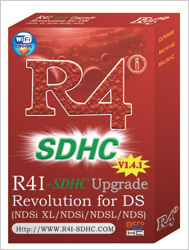 At the same time , with WOODR4i released , R4ids gold has got officially support from WOOD R4 on 25 Nov,2010. Now , you can download the newest kernel at r4ids official : www.r4ids.cn.